Now that it’s December, it’s time to embrace the plethora of musical celebrations covering the area. While there are numerous concerts and stage productions to choose from, there are two in the South Bay that are not to be missed. Not only are they guaranteed fun for the entire family; they are free! 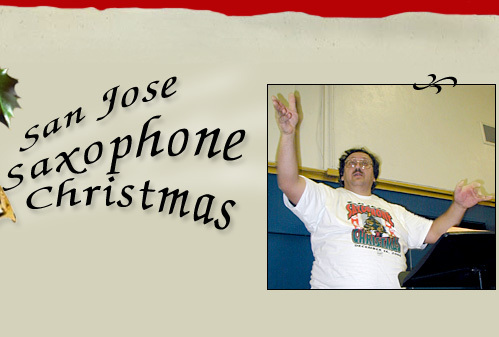 First up is the 23rd Annual San Jose Saxophone Christmas on Saturday, 17 December. In recent years, there have been around 200 musicians playing everything from soprillo saxes (the smallest commercially made saxophone in existence) to sarrusophones and bass saxes along with everything in between. Some years, there is even a tubax or a contrabass sax (the biggest of the saxophone family). 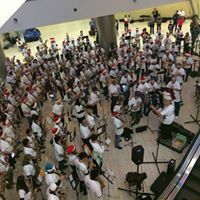 Saxophone Christmas founder Ray Bernd takes a little time during each concert to talk about the different saxophones being played and invites each section to raise their horns as he calls them out. Watch out for the bari sax players, as they are really feisty. 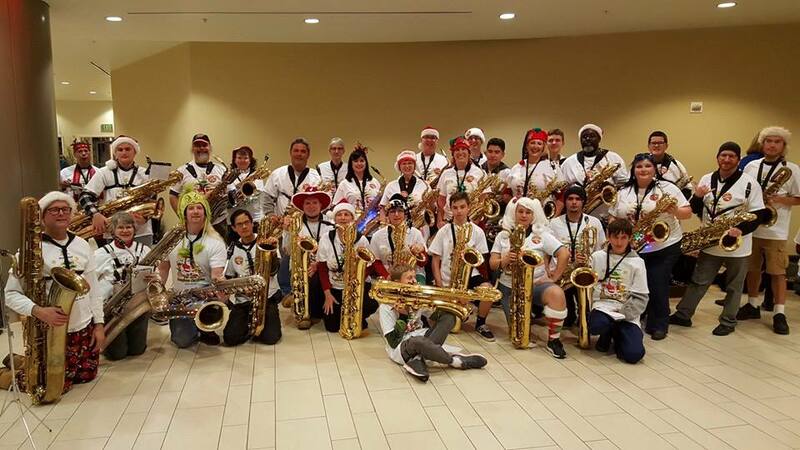 A friend of mine from the San Francisco symphony used to say that for him, the holiday season started when he came to hear the “Saxophone Orchestra” in San Jose each year. The repertoire has grown over the years, so the group plays about 17 or so pieces, both rotating through the existing charts while Bernd adds another two or three to the collection. The players never know until the day of the concerts what the actual set list will be, and it’s as exciting for them as it is for the audiences that delight in hearing this bubbling ensemble of players who come from regions far and wide to participate. 2 p.m. at Christmas in the Park in San Jose – across from the Tech Museum. 5 p.m. at the Vallco Shopping Mall in the foyer underneath the movie theaters. With all the building in the area that’s transforming many of the indoor malls into outdoor malls under living spaces, this could be the final year for this event if another indoor venue is not available December 2017. For more information, see sjsaxmas.com. The second not-to-be-missed-free-holiday-concert event is taking place on Tuesday, 20 December at 7:30 p.m. at the Cathedral Basilica of St. Joseph in San Jose located at the corner of S. Market Street and W. San Fernando Street across W. San Fernando from San Jose Museum of Art. This one is the brainchild of Kevin Surace and Mary Carroll and is entitled A Musical Theatre Christmas. The concert will be performed by Surace’s orchestra, drawn from local theatre circuit musicians, along with a large chorus also drawn from experienced local singers and soloists including Michael Amaral, Mary Carroll, and Allison Rondez. 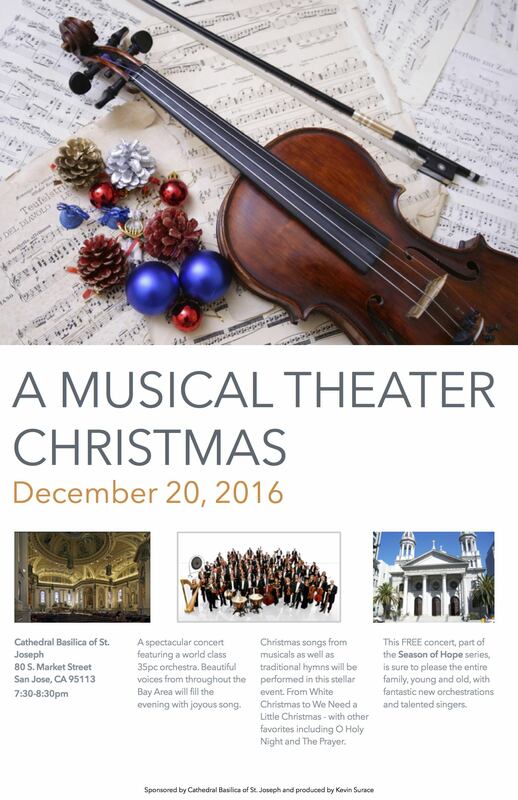 The concert will include holiday music from theatre, as well as other favorites from the classical and popular genres. A version of this concert was presented in 2014 to a packed cathedral and was so successful that Surace and Carroll have been looking forward to doing it again, this time with a few new charts. 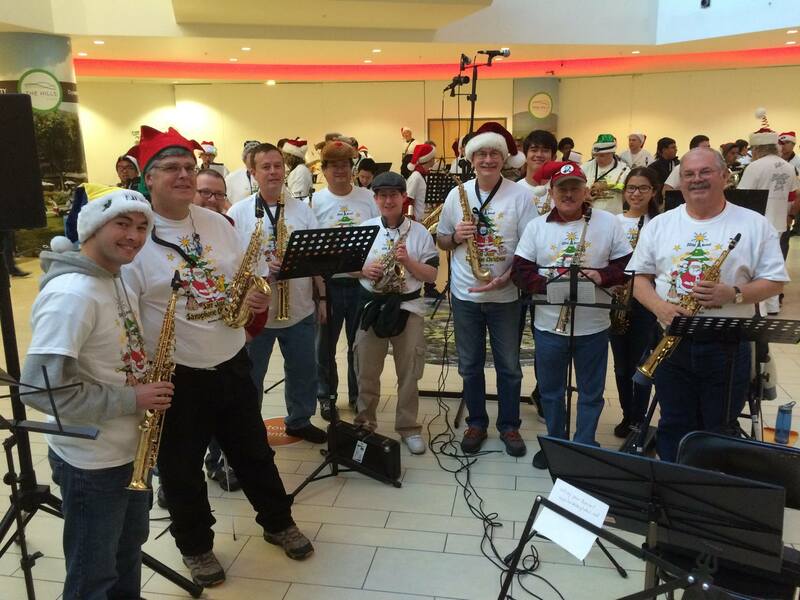 Like Saxophone Christmas, this event is free, so be a part of this festive celebration of music. This year the orchestra and chorus are expanded to fully fill the hall with music. What better way to usher in the season than with two very different musical experiences to celebrate the season?